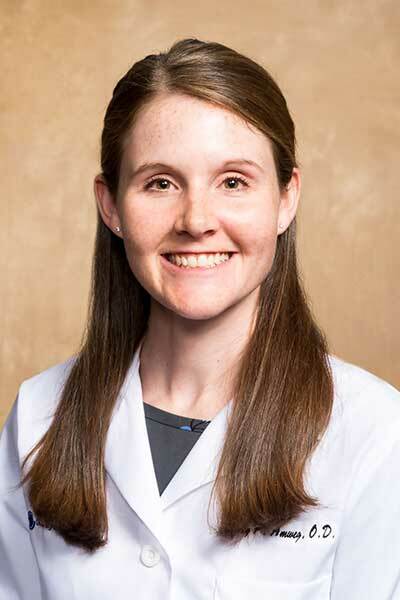 Dr. Emily Amweg was born and raised in Dublin, Ohio and currently resides in Westerville, Ohio with her husband Jason and their Siberian Husky Tonka. Dr. Amweg received her Bachelor of Science in Exercise Physiology from The Ohio State University in 2011. Following graduation she worked in a private optometry practice in Reynoldsburg, Ohio for two years to gain experience in the profession. She then went on to complete her Doctor of Optometry degree at The Ohio State University College of Optometry in 2017. She is a member of the American Optometric Association and the Ohio Optometric Association.